Champions League: Will Alexis Sanchez start vs Barcelona? 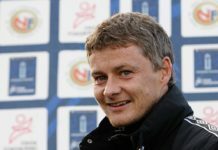 Home Premier League | News Man United News Will Solskjaer make a surprise inclusion to his starting XI vs Barcelona? Manchester United forward Alexis Sanchez has been recovering from a hamstring injury which he picked up in February during United’s 3-2 win over Southampton in the Premier League. The Chilean was expected to return back towards the end of this month but now United have received a huge boost as Alexis Sanchez has returned back to training and could very well be on the bench vs Barcelona. United take on Barcelona in the second leg of the Champions League quarter-finals at the Camp Nou on Tuesday and some reports claim Alexis Sanchez will be a part of that squad. Alexis Sanchez has returned back to training last week itself and many expected him to be on the bench vs West Ham United this past weekend but the manager claimed that the Hammers game would have been too early for him. Solskjaer confirmed before that match: “He is training with us, he’s trained twice. I’m not sure if he’s going to be available against West Ham. The first and the obvious one is his match fitness and Solskjaer would not want to start with a player who is not 100 per cent against a team like Barcelona. The second reason is, of course, the form of the player. Alexis Sanchez has been underperforming ever since he joined Manchester United from Arsenal last year and it is more or less certain that the forward will be on his way out of the club during the summer transfer window. Read: Man United have identified their next captain and the Barcelona game will be his biggest test. Read: Here’s why Ole Solskjaer’s anger against UEFA has no justification at all. 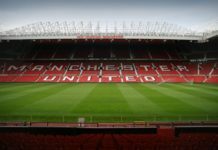 Previous articleArsenal join the race to sign ‘this’ 30 Y/O defender: But can ‘they’ get past Man United? Next articleIs ‘this’ man set to become the first summer signing for Rangers manager Steven Gerrard?